Get ready for RV fun! Spring is finally here and we are celebrating with the Wilkins RV 5th Annual Coachmen RV Days April 13th-15th! 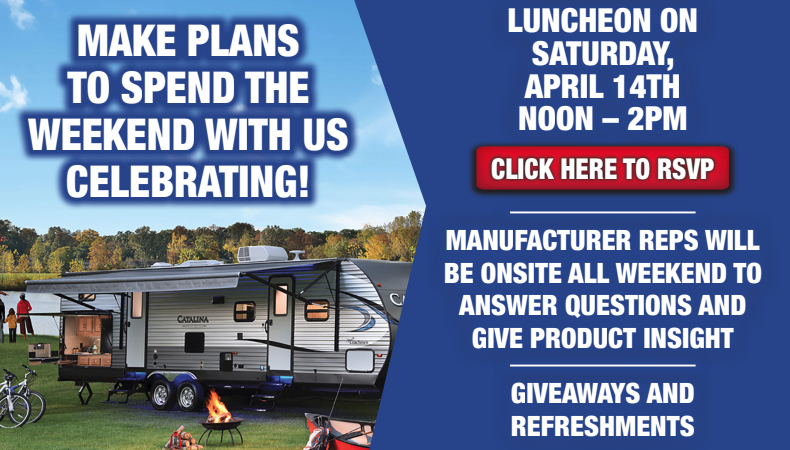 Visit us at our Wilkins RV Churchvile, NY or Victor, NY Dealership Locations for fun, food, giveaways and amazing deals all weekend long on our entire Coachmen RV inventory! 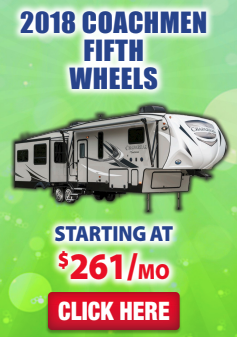 Take a tour of our huge selection of Coachmen RVs On Sale at Wilkins RV and find the Motorhome, Fifth Wheel or Travel Trailer to make your next camping vacation the best one yet! 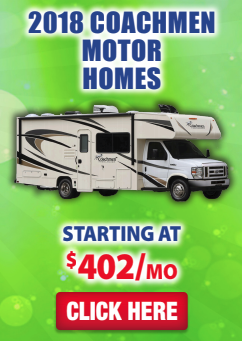 With over 100 new Coachmen RVs to choose from, you are sure to find the camper that’s just right for you. Coachmen RV is dedicated to producing RV products with superior value in a wide variety of styles, price points, sizes and amenities. Coachmen manufacturer representatives will be on site all weekend to answers questions and give product insights on our entire product line. Make sure to mark your calendars for Saturday, April 14th and join us for a special Coachmen Luncheon from noon-12pm. RSVP here to reserve your lunch. Bring the family! In addition to amazing sale prices on the best Coachmen RV Brands and models, we are giving away a Free Empire Pass with every new RV purchase (up to a $750 value). 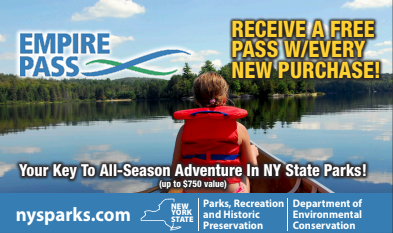 This is your key to outdoor adventure to all New York State Parks! 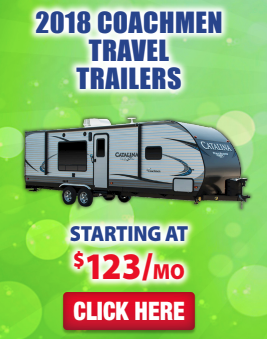 You will also receive a Coachmen RV “swag bag” with every new RV purchased during this limited time event! Don’t miss out on the fun! Visit Wilkins RV in Churchville or Victor, NY to get a first look at the brand new 2018 Coachmen RV models available now. Contact Us for more information on this once a year event!